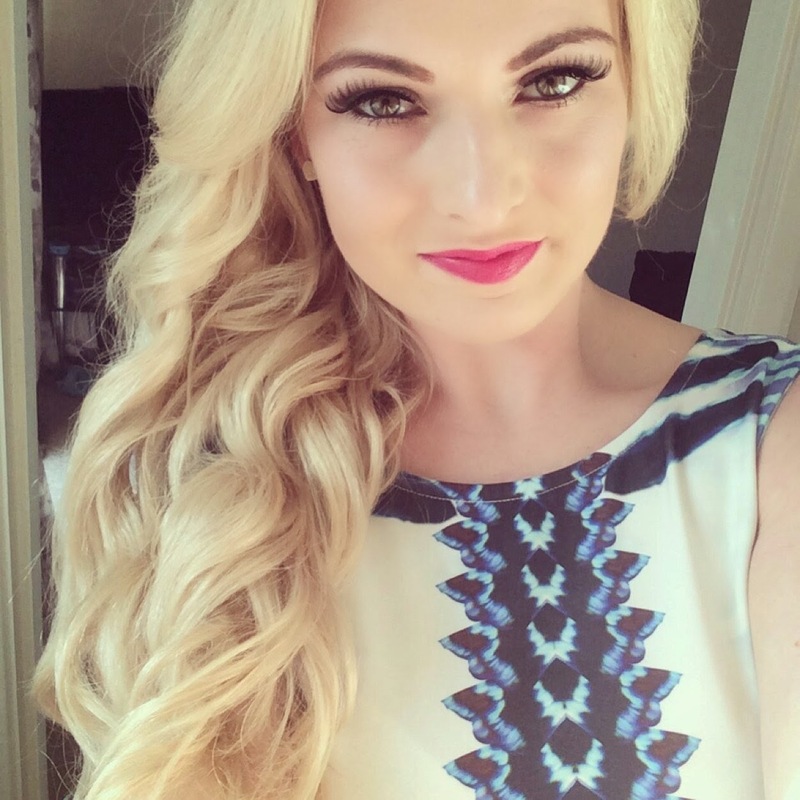 One of my favourite things is getting glammed up for a night out with my girls! This is a time I wear (alot) more make-up than usual - eyeshadow, lashes, the works! It's always fun getting dressed up and glammed isn't it? After uploading a recent night-out selfie (so vain right?) and getting a few questions on what I had on my face I thought I would share with you my absolute must-haves which I always go to for a full face of glam make-up! I mentioned this badboy in my favourite foundations post! This is my go-to foundation for nights out, amazing high coverage and lasts for hours and hours (even after a good few drinks and boogey on the dancefloor!) Perfect when used with a buffing brush like my one from Zoeva, this helps give a flawless finish! My eyelashes are tiny, short and stumpy so false lashes are always a must for me when getting dressed up! These ones from Eylure have been my favourite for years! They recently changed them and made them slightly bigger which scared me a bit but they are great for my small eye shape and haven't found any others yet that I love as much (and are as easy to put on)! Please excuse the 'used' lashes .... I like to get multiple wears! Jeeez this packaging is messy - I promise I do look after my stuff! I have been using this powder for a few years now - I think this is my second pot. I'm not really a fan of loose powders but this one works so well that I put up with it! (If they could make this in a pressed powder I would be super duper happy!) This powder is bright white but is translucent once brushed onto the skin ], I use this all over my face with a large fluffy brush to set my foundation - it is fab and helps me avoid a shiny face in photos! Make-up isn't complete without a fabulous lip colour and mac lipsticks are the best when it comes to this! With the amount of shades they have too, Mac is the perfect place to go if you are trying to match a lip colour to your outfit! The quality is fantastic and they are seriously long-lasting! My favourite shade is Girl About Town - I seem to always grab this colour for a night out! Again... oppsie this is a bit messy isn't it! Since getting this for Christmas a couple of years ago I have used it near enough EVERY time I have gone out! I am obsessed with it and love all the different looks you can make from just one palette! The quality is great, the colour are gorgeous and as you can see this lasts years! A must have for any neutral-loving girl's make-up collection! 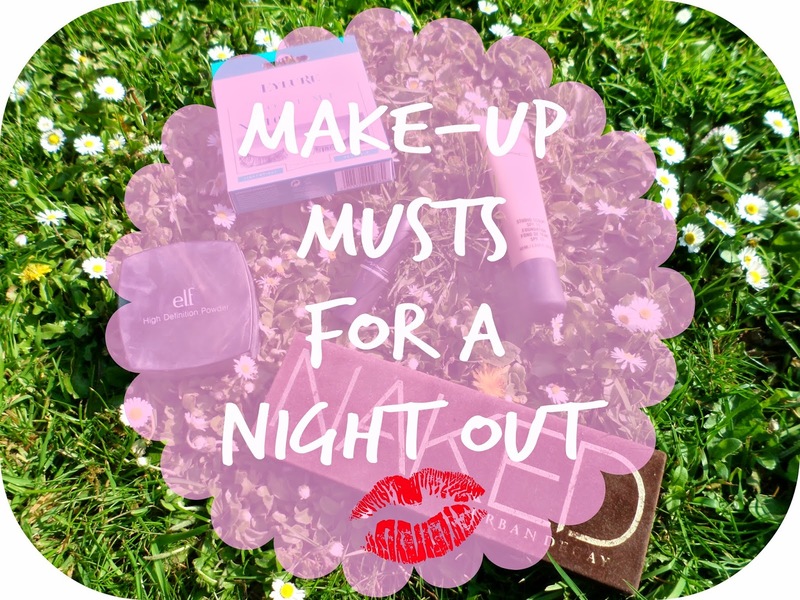 What products do you grab when you are going for a night out?! You look lovely. I've never worn fake lashes, knowing me I'd poke my eye out. Your make up is GORGEOUS!! The lipstick ahh <3 <3 I have Girl About Town envy haha - it looks tragic on me but it's soooo pretty and looks fab on you! !